Box Dimensions (LxWxH) 10.5 x 4.6 x 4.6"
Have now had the opportunity to use the Speedlight in several settings under a variety of conditions. Used it in an outdoor wedding in the woods at dusk and it worked great at distances up to 25'. Great fill and using the included diffuser provided a soft light that wasn't harsh. I like these a lot. I have 3 of them so far and looking to buy at least 2 more. (It's why I'm on here right now actually...) These things have all the power you could really need in a speedlight, a great quality of light as well. Lots of options built in. Overheating is a non-issue. 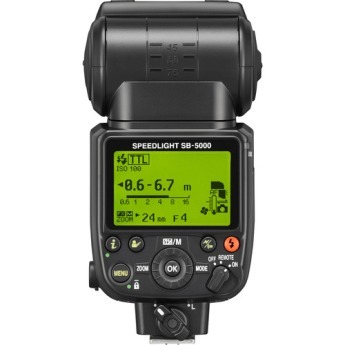 I've used the SB-800, ok SB-900 overheated at the worst moment, SB-910 very very good speedlight and now the SB-5000, it's dependable, powerful and there is a tiny noise coming from the internal fan. I have been a Nikon shooter since the early 90s. Before that I shot Canon in my film days. I am very happy with the SB 5000. 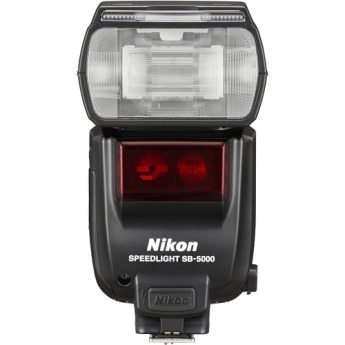 I have owned many Nikon flash is starting with the SB 800, SB 900, and SB 910. The SB 5000 is a great improvement over there past speed lights. 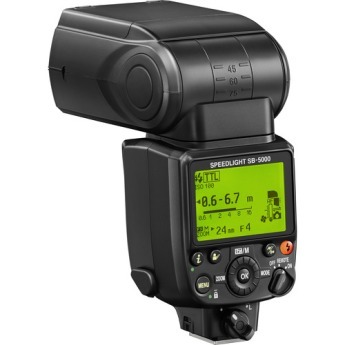 I purchased two SB-5000 to go along with my pair of SB-910s and my D500. The SB-5000 perform as well or better than the flagship 910 do, I was impressed. 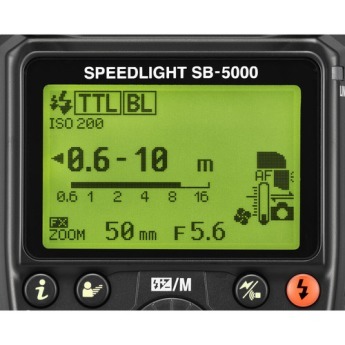 The SB 5000 have very good output, with quick easy menus that allow full control of the SB-5000 features. 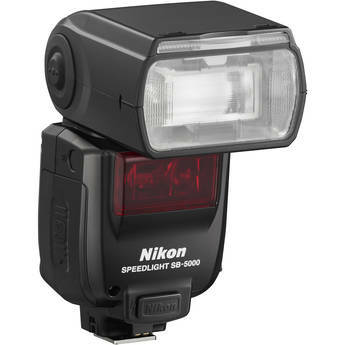 It's a good flash, but only when used in certainly circumstances. It's good on camera. It's fine off camera if you use a separate radio control system (i.e. PocketWizards). However, the built in radio control is a joke. The flash ONLY receives signals, even when used in master mode on camera.